While the quickest way to get from Rome to Florence (or the reverse) is to take a fast train, there are several interesting hill towns to visit in between. If you have extra time, consider stopping in one or more of these places along the route. Although these towns can be visited as day trips, spending the night when there are fewer tourists really gives you a feel for the place. These towns also make good bases for visiting other places in Tuscany and Umbria if you have more time and in summer they’re a good break from the heat of the cities. 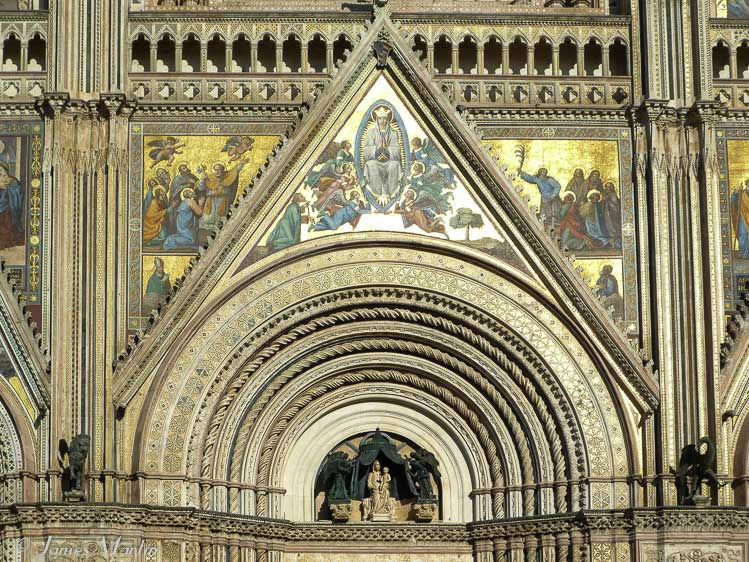 Orvieto is a picturesque hill town in Umbria known for its medieval cathedral with mosaics on the facade. The town sits atop a tufa ridge filled with underground passages that have been in use since the days of the Etruscans. You can still see remnants of the Etruscan wall and get an overview of the Etruscans in the archaeological museum. Also of interest is Saint Patrick’s well, built in the 16th century, with double spiral staircases along the sides, each with 248 narrow steps. Good white wine comes from the vineyards around Orvieto. From the train station, a cable railway runs up the hill to the town center. Montepulciano is a hill town in southern Tuscany known for the Vino Nobile wine produced in the hills around the town. Montepulciano has a beautiful main square with 14th – 16th century buildings, the cathedral, town hall, and a 15th century tower you can climb for the views. You’ll find several places to taste wine in town, too. Montepulciano train station is a few miles out of town and connected by bus. You can also take a bus directly from Chiusi train station. 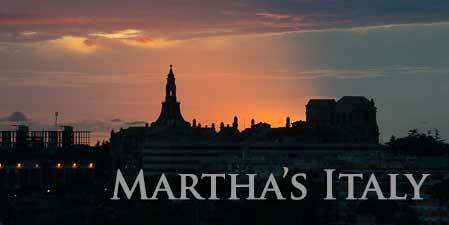 Cortona is the Tuscan hill town made famous by Francis Mayes in her book, Under the Tuscan Sun: At Home in Italy. 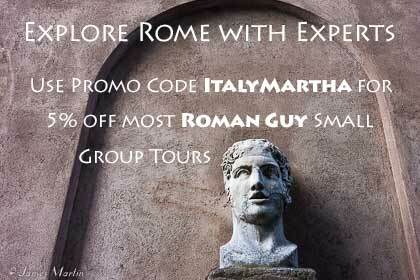 Cortona is another town with Etruscan origins which you can see in its walls and museum. On the main square are the 13th century town hall, bell tower, and cafes. Wander the medieval streets leading out from the square and take a walk (about 45 minutes) through the woods outside of town to Le Celle di Cortona, a convent where Saint Francis stayed when he preached there in 1211. To get to Cortona, take the train to the Terontola-Cortona station and then a bus (or taxi) up to the town a few miles away. Arezzo is a town in Tuscany that’s often overlooked by tourists and although it’s a hill town, it’s not so steep as some of the others. The main reason people go to Arezzo is to see the famous Piero della Francesca fresco cycle, Legend of the True Cross, but the medieval town center has several interesting sights including one of the best Etruscan museums in the area. You may recognize Arezzo’s pretty main square from the Roberto Benigni movie, Life Is Beautiful. On the square are several historic buildings and a bell tower you can climb for great views. From the Arezzo train station, you can walk into the center or take a local bus. 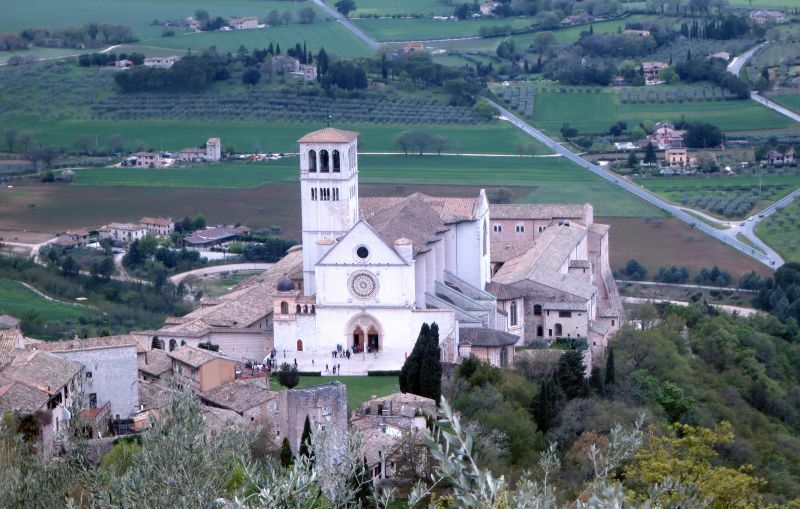 Assisi, although not exactly between the two cities, can be reached by direct train from both Rome and Florence – see getting to Assisi from Rome and Florence. Assisi is a medieval hill town in Umbria, known for being the birthplace of Saint Francis. Visitors flock to Assisi to see the Saint Francis Basilica but the town has plenty of other things to see and do including more churches, Roman ruins, a walk through the Saint Francis woods, or just relaxing and having a drink in the main square. If you decide to take the fast train between the 2 cities, see Italy train travel information and book train tickets on Rail Europe. You can also see train schedules or buy tickets on trenitalia. Regional train tickets for these towns don’t need to be bought in advance, just buy at the station. Although Siena is between Rome and Florence, to get there by train from Rome you have to change trains in Chiusi. If you’re driving between the two cities, Siena should be a stop on your itinerary. We advise against driving in Rome and even in Florence, much of the center is restricted and parking can be difficult. If you do decide to drive, rent a car when you’re leaving Rome or in one of the towns along your route and be sure to read our tips for driving in Italy. Orvieto: Hotel Duomo, Orvieto is a small hotel right by the cathedral with a garden, art works, and parking. Montepulciano: Residenza Fabroni, Montepulciano is a bed and breakfast in the historic center with a rooftop terrace offering 360 degree views. Cortona: Hotel Villa Marsili, Cortona is a highly rated 4-star hotel with gardens and a fireplace. 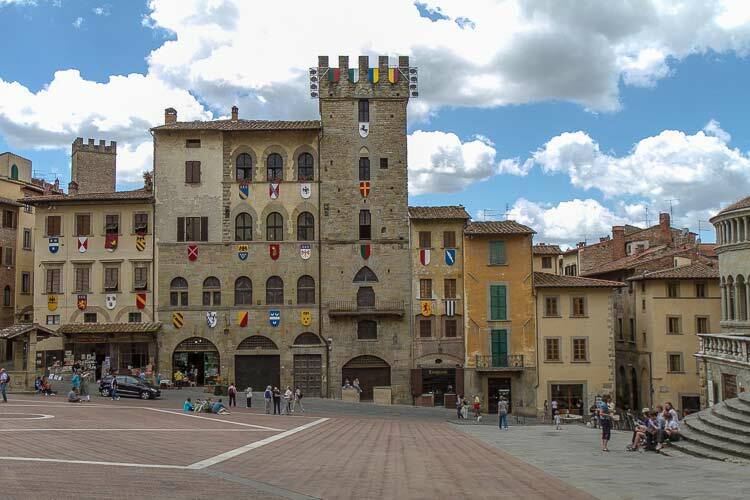 Arezzo: La Corte del Re, Arezzo is right on Piazza Grande, the main square. Assisi: Brigolante Guest Apartments are in a historic palazzo overlooking the main square.